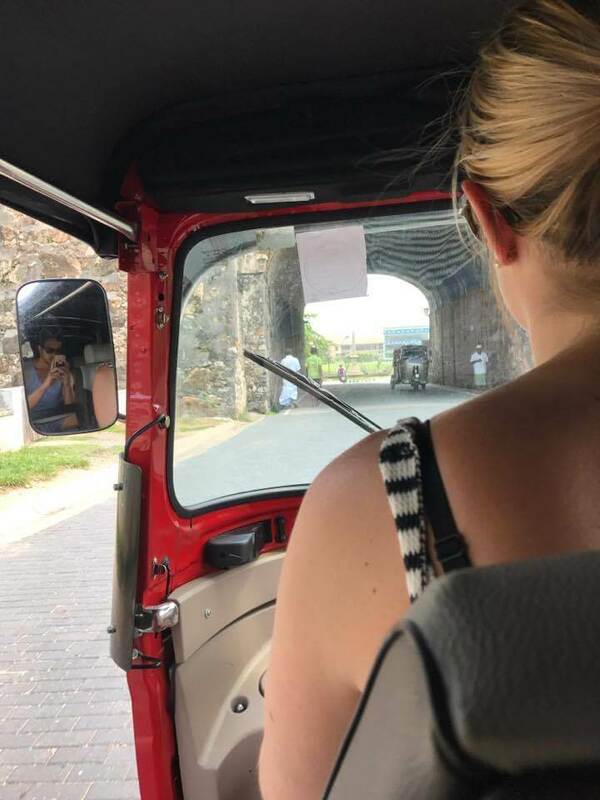 Renting a tuktuk to explore the coast of Sri Lanka was one of the best traveling experiences my partner and I have had! The vehicle was super easy to drive (even for someone who had never driven a manual bike!) and the independence it gave us to run by our own schedule was invaluable. Not to mention the great fun we had hooning around the island, and the hilarious looks we received from the locals when they saw a Caucasian female driving a tuktuk! The whole process of renting the vehicle was extremely easy and stress-free, and we felt very well supported the whole time. Plus it was a much cheaper transport option than the private driver we used for the first half of our trip. I highly recommend hiring a tuktuk from Tom and his crew – you won’t regret the incredible experience it offers! And here’s a little pic to accompany it (unfortunately we didn’t take many!). Thanks again for such an awesome experience! We are missing Sri Lanka and our little red tuktuk so much!